As you probably know, switching over to the new AdWords interface has been a bit of a challenge. 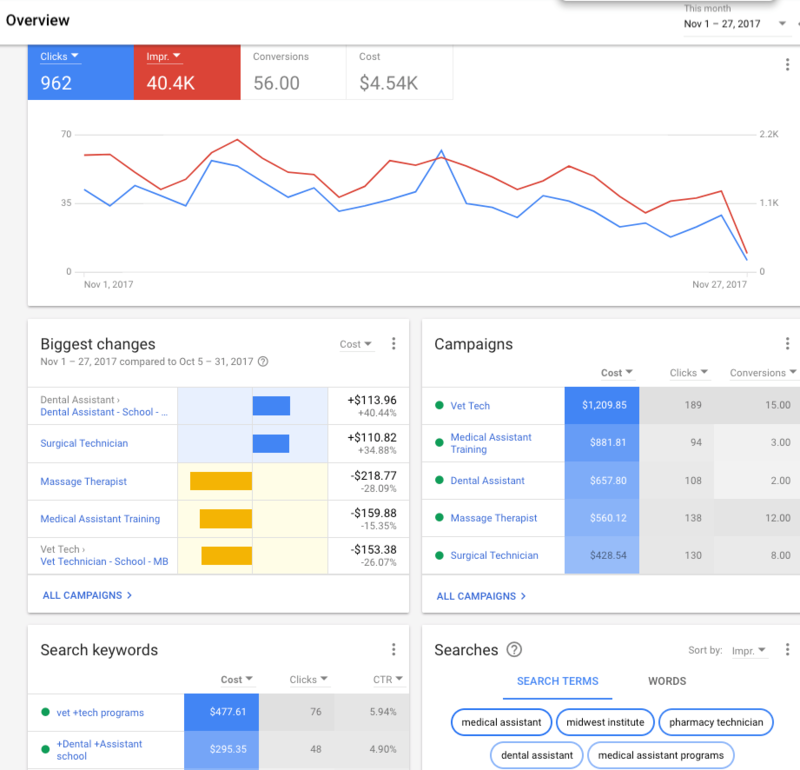 When Google first started to roll it out and it came into the first few accounts, I thought, “This is so exciting, look at all these new functions and opportunities!” But that changed as it became available to all of my accounts. 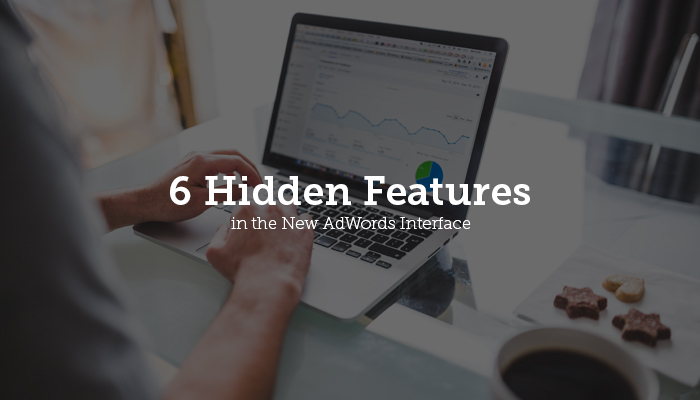 I soon found myself going back to the old Adwords interface and performing my day-to-day tasks there, where I was comfortable. 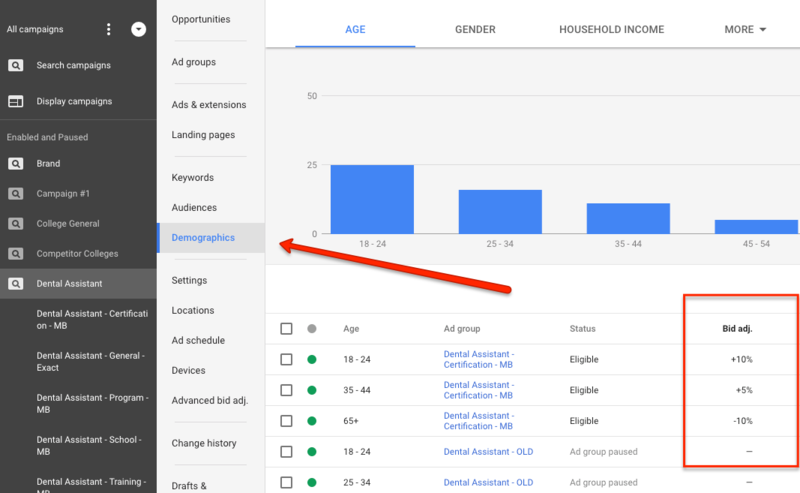 The new AdWords feature allows me to dive into the household income, parental status, gender and age. Viewing this data, allows me to apply bid adjustments and increase or decrease those bids based on conversions and performance. This feature is one of my favorites. I have seen so many different ages that are not a focus for a client and have been able to hone in and pull back on those ages. The new dashboard is amazing! It calls out specific information on account performance, and even offers a comparison tool right there in the dashboard. The new overview dashboard specified what type of information one wants to see in the overview and simplifies sharing with the clients for data review. The most important information for clients is right there in the overview which they can be easily granted view access. It’s all right here at our fingertips. Now we can get insights for the different landing pages being tested in the campaigns right there in the interface, where us Adwordees spend the most time, no need to dive into the WordPress, Wix or any other format being used. I can see if the page is mobile friendly or which pages have the highest conversion, all at a click of a button. I can also ensure that the ads are being driven to the correct landing pages. This can happen all with in this new interface. This feature allows us to group together products and/or services to introduce the brand or business. It is a bit different than the Shopping ads. This gives us a format which enables us to group different images of the product and showcase them together. Regular shopping ads are typically showcased with other companies’ products pushing to sell something, whereas these showcase shopping ads are getting the look out there, which will then spark the interest to purchase. 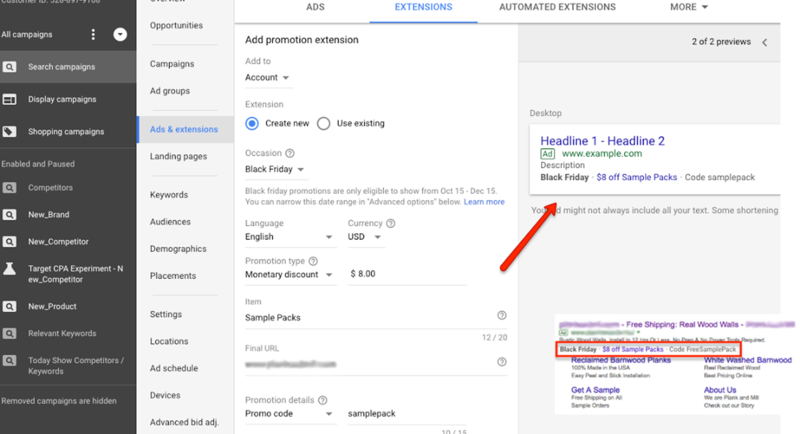 This new feature highlights special sales and offers, includes end dates, and utilizes the countdown calendars to promote special events. I’m excited to utilize these tools with Black Friday shopping and specific sales or promotions for MWI clients. While there are so many more features and tools that came with the updated interface, in this article are six that should help your day-to-day run smoother. As I work more and more in the new interface, unfamiliar features and tools pop up. Luckily, Google is great at walking through where and how to find different items. I spend more of my day inside the new interface and have become dependent on the optimizations made to it.